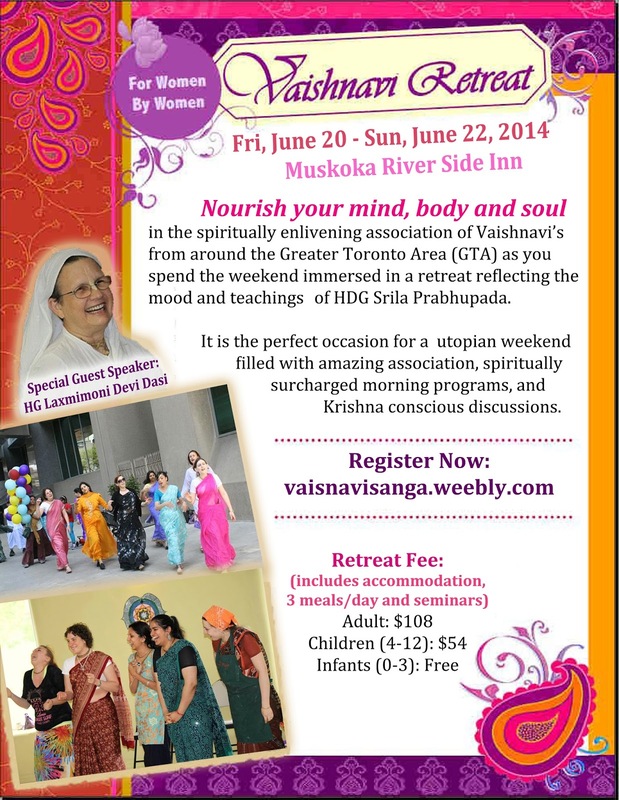 Vaishnavi Sanga Retreat - June 20th - 22nd, 2014 ~ The Toronto Hare Krishna Temple! In it's third year, we are happy to announce we will once again have our Vaishnavi Sanga Retreat Friday, June 20th - Saturday, June 22nd! This is a chance for the women of our community to spend a weekend away, absorbing yourself in Krishna katha, amongst amazing classes, kirtan, association and prasadam! 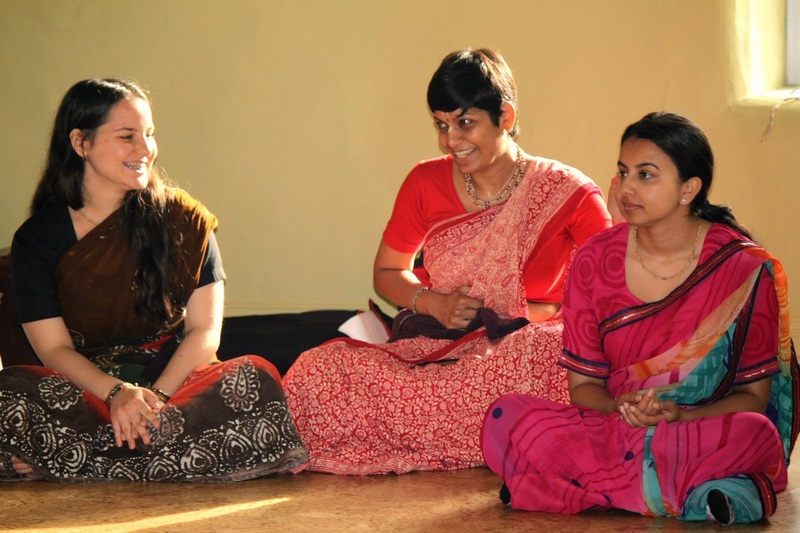 We are thrilled to have Laxmimoni devi dasi returning for the third year in a row and will be joined this year by our very own Prema Manjari devi dasi facilitating classes and discussions throughout the weekend. This year, the retreat promises to be even more enlivening and uplifting. The retreat takes place on Friday, June 20th - Saturday, June 22nd in Muskoka, Ontario at the Muskoka Riverside Inn, about two hours away from Toronto. The cost for the retreat is $108, which includes your accommodation and meals. If you need to bring your children, please note that children from 0-3 can attend for free and kids 4-12 at half price. If you have any questions or concerns and would like to register, please check out our website here at: http://vaisnavisanga.weebly.com/.